One of the most powerful methods of business building is the three-way call, but yet it’s a method which is not often covered in distributor training discussions. Three-way calls are particularly effective for newer distributors who may not yet be totally familiar with the product line, compensation plan or other parts of the business. It allows a more experienced upline member to work with the distributor in presenting the business to the distributor’s prospects and answering questions. I participate in three-way calls with my team members regularly, and I thought it might be helpful if I passed along some suggestions on how to make your three-way calls as productive as possible. Obviously, the participants are typically a distributor, a member of the distributor’s upline and, of course, the prospect. Before a three-way call is even scheduled, the distributor must insure that the prospect has already received information about the company and products and has had an opportunity to review it. The distributor must also insure that the prospect is in fact interested in what they have seen to avoid wasting everyone’s time. While it may sound like stating the obvious, the distributor must have three-way calling capability on their phone service. This can be arranged for very simply with your phone service carrier for a nominal charge. 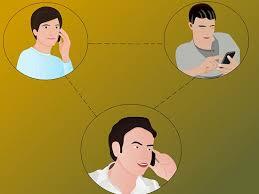 The distributor should to be able to initiate the calls to the prospect and the upline member. The next step is for the distributor to schedule the call at a time convenient to both the prospect and the upline member. The prospect should always be expecting the call. They should not be surprised. Sometimes people feel intimidated or “ganged up” on when there are two or more people on the other end of the line and they weren’t expecting it. The most effective three-way call involves the upline introducing him/herself, providing a brief background of their business experience, and addressing any questions or concerns the prospect may have. A successful call is one where the distributor and upline member listen to the prospect and share information with them. There is no room for hype or hard-selling in any part of network marketing, and three-way calls are no exception. Ideally, three-way calls should last no more than 15 to 30 minutes out of respect for everyone’s time. If a call drags on longer than that, it usually means that the distributor has not done a proper job of educating or preparing the prospect ahead of time. As with all other parts of our business, common sense and common courtesy in using the three-way call as a business building tool lead to extraordinary results. If you aren’t already using three-way calls as a part of your regular business building activities, start today! Thanks for writing such a wonderful blog. Full of tips and tricks, by using these one can easily get success in his network marketing life. Even he can grow his business in a rapid way.